Supplied in PBS buffer, pH 7.3, containing 1% BSA, 50% glycerol and 0.02% sodium azide. Acetyl-Coenzyme A acetyltransferase 2 is an enzyme involved in lipid metabolism. 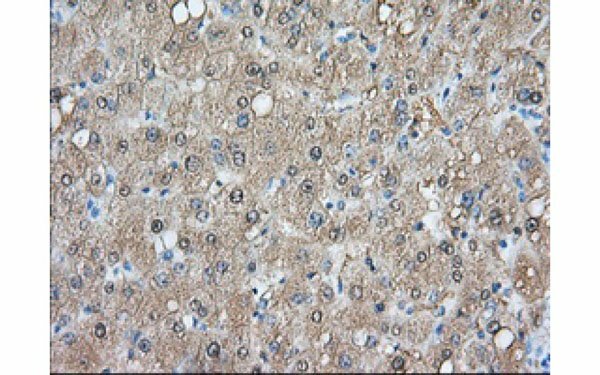 Reported patients with ACAT2 deficiency have shown severe mental retardation and hypotonus. The ACAT2 gene shows complementary overlapping with the 3-prime region of the TCP1 gene in both mouse and human. These genes are encoded on opposite strands of DNA, as well as in opposite transcriptional orientation. 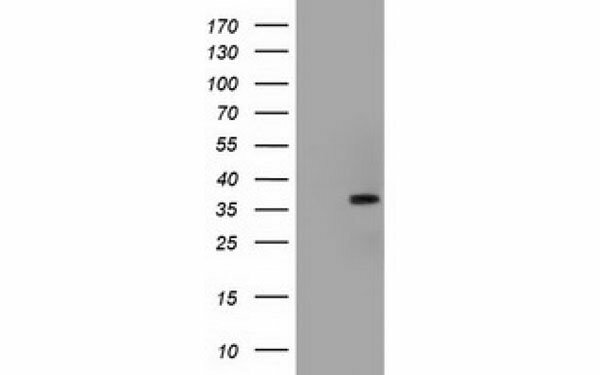 ACAT2 antibody was raised in mouse using a full length recombinant protein of human ACAT2 (NP_005882) produced in HEK293T cells, as the immunogen. Small volumes of anti-ACAT2 antibody vial(s) may occasionally become entrapped in the seal of the product vial during shipment and storage. If necessary, briefly centrifuge the vial on a tabletop centrifuge to dislodge any liquid in the container`s cap. Certain products may require to ship with dry ice and additional dry ice fee may apply. NCBI/Uniprot data below describe general gene information for ACAT2. It may not necessarily be applicable to this product. 1. 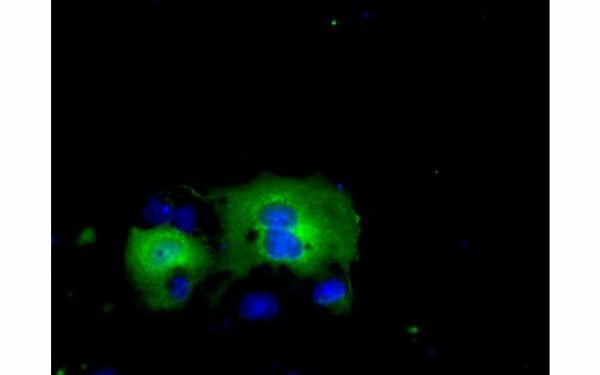 Results show that DLAT and ACAT2 as upstream acetyltransferases of K76 and K294 in 6PGD protein.